It is great to see that you continue to come back to post updates on the boat. That is very appreciated by someone who has lusted after a c17 for a long while. Hindsight reinforces what a great design this is from the start. 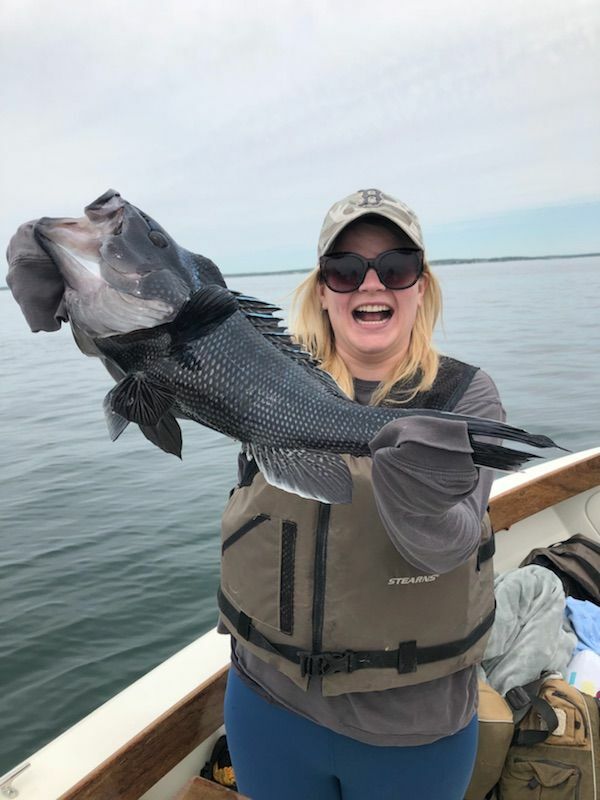 Took my son and his fiance out fishing back in august......only her second time ever...she caught the largest of the day...notice the girlee grip. We call large BSB "Gators" in South Carolina! Nice Gator! !